First, it is important to note that simply sitting less is not the only answer. We must strive to help people to move more through physical activity, preferably of a moderate-to-vigorous nature. But, in addition, making the transition from long periods of sitting to engaging in a greater volume of light-intensity physical activity is also important. This might involve light activity, such as getting up out of the chair and talking to a colleague instead of emailing, using the stairs, or simply engaging in several what we call ‘sit-to-stand transitions’ in work meetings. So what might work? We conducted a systematic review of behaviour change techniques, including those in the workplace. Of the 38 interventions we reviewed, 20 were in a worksite context. We rated 15 interventions (39%) as ‘very promising’ for behaviour change. Interventions based on changing the environment (e.g., having a sit-to-stand desk), persuasion, or education (e.g., a seminar on the health effects of sitting and moving at work) were most promising. Self-monitoring (e.g., keeping a log), problem solving (e.g., working out solutions for the office), and restructuring the social or physical environment were particularly promising behaviour change techniques. 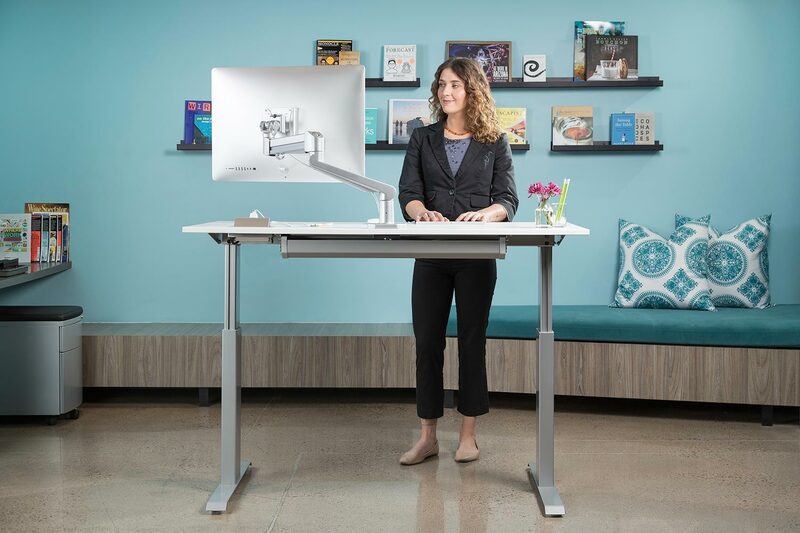 To help people sit less and move more at work, but of course stay productive and ‘on-task’, the use of sit-to-stand desks have become popular. The advice is to break up sitting as much as possible rather than stand for prolonged periods. Based on the results of our review, therefore, we would expect such desks to be successful in bringing about behaviour change as they are enabling changes to the physical environment. But, at the same time, we may need to provide initial education on the benefits, as well as self-monitoring. In a study where we did not provide such desks, the self-monitoring tool we gave was not received well and we did not achieve the behaviour change we sought. This also suggests that practical implementation, of such behaviour change techniques is also important to monitor, as well finding a self-monitoring tool that is acceptable for the participants and is appropriate and timely in its feedback. Create policy, or at least social norms, that ‘give permission’ for staff to sit less and stand or move more in meetings. Walking meetings might also be encouraged.